During what was called a late night party, shots rang out, and one man dropped to the parking lot of the Motel 6 at 3104 S.E. Powell Boulevard, just before 3 a.m. early Saturday morning, September 22. "Emergency medical personnel arrived and provided the man medical aid and transported him to a Portland hospital, while officers searched the area – but didn't locate anyone believed to be a suspect in this shooting," reported Portland Police spokesman Sgt. Chris Burley. "As officers canvassed the area, they did locate evidence of gunfire in the parking lot; also, officers also found a vehicle believed to be associated with people involved in this shooting that had been abandoned in the motel parking lot." While detectives and forensics staff investigated the incident, word came in that another man had checked himself into a hospital, arriving by private vehicle. "Investigators believe he suffered the gunshot injury during the shooting at the Motel 6," Burley said. 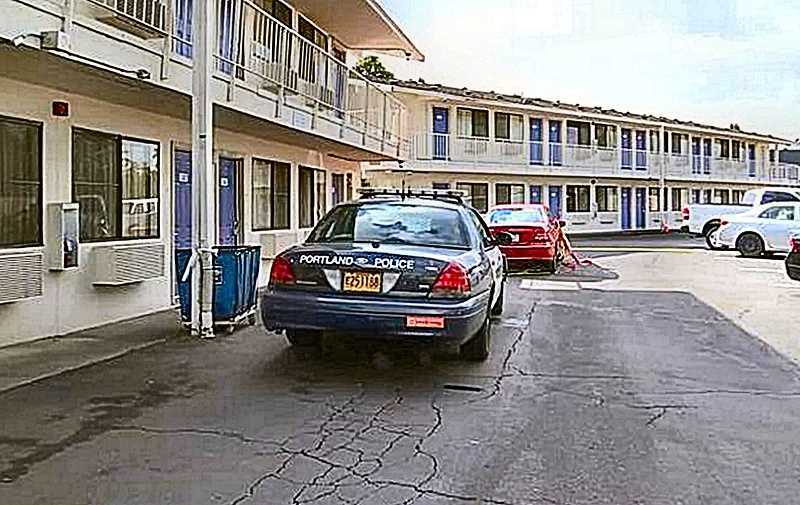 Members of the PPB Gang Enforcement Team assumed the investigation, and came to believe that a group of people associated with a room at the Motel 6 were having a party when a disturbance occurred, and during the disturbance there was gunfire. The gunshot injuries suffered by both men were believed to be non-life-threatening; the suspect or suspects are still at large.